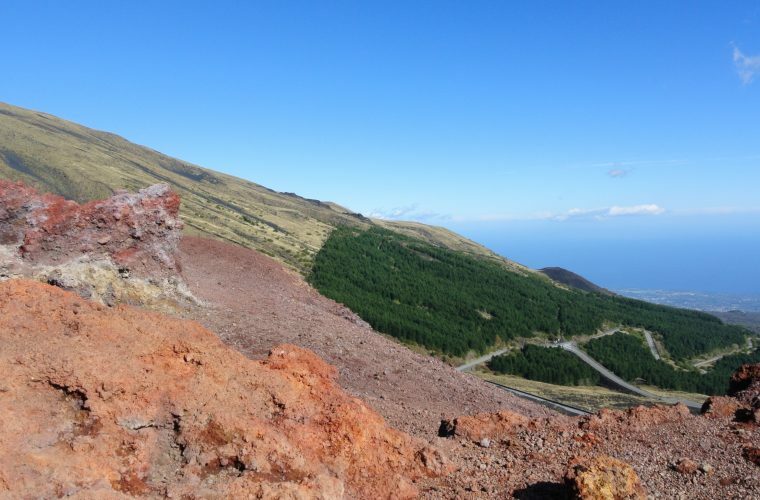 In one day you have the chance to enjoy Etna and Taormina: our Volcano and the pearl of the Ioninan sea. 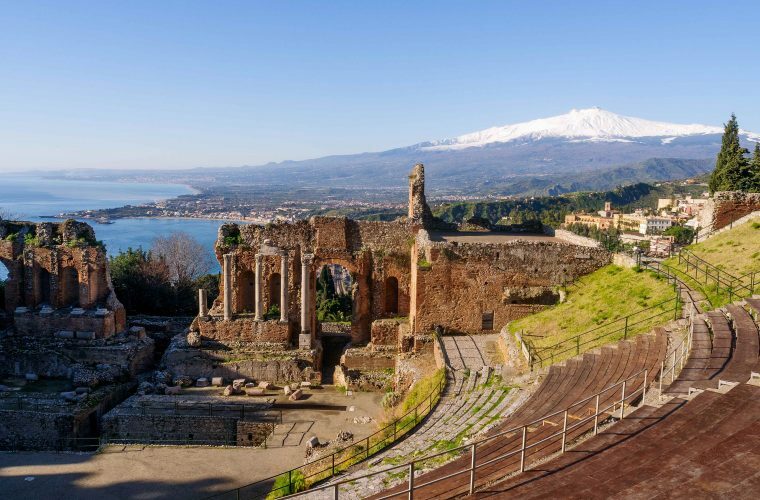 For Etna and Taormina tour we provide for pick-up service at your accommodation or in the close vicinity, with 8-seats vehicle. 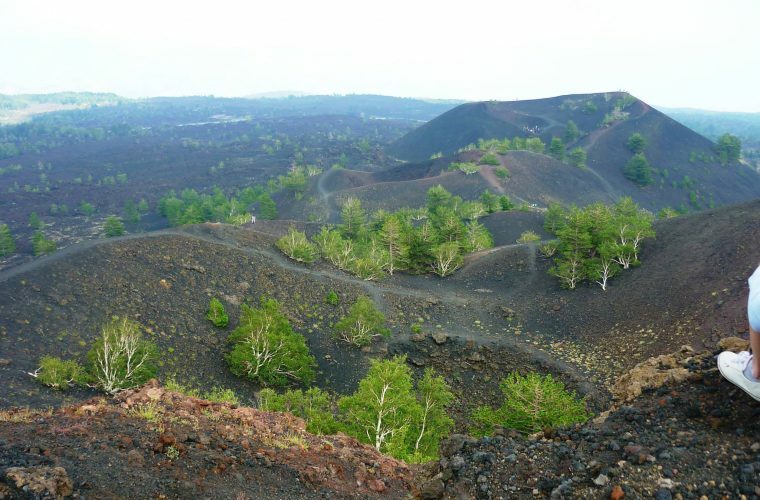 First stop : While walking through secular woods, eccentric craters and singular lava formations (usually the Sartorius Mountains or the craters formed in 2002 on the Northeast side of Etna), our naturalistic guide will introduce you to the fascinating world of volcanic phenomena. 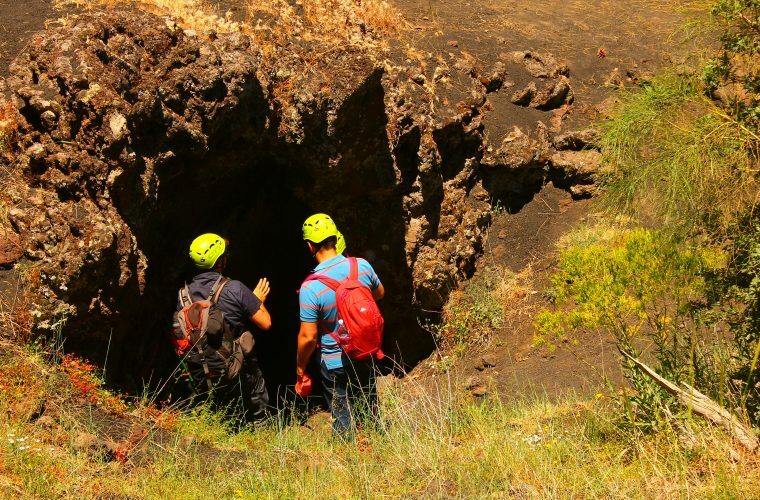 Second stop : You will explore a cave of volcanic origin (such as the “Cave of the Thieves” or the “Cave Cassone”), provided with the necessary equipment (helmets and torches). In winter, caves can not be visited in occurrence of significant snowfall or ice presence at the entrance which would make the entrance dangerous. Our guide will show you places from uncontaminated nature, where you can admire endemic species of plants and animals. Third stop : If weather conditions allow you, you will have a snack based on typical Sicilian street food. Otherwise, lunch will be closed at a pretty mountain farm. 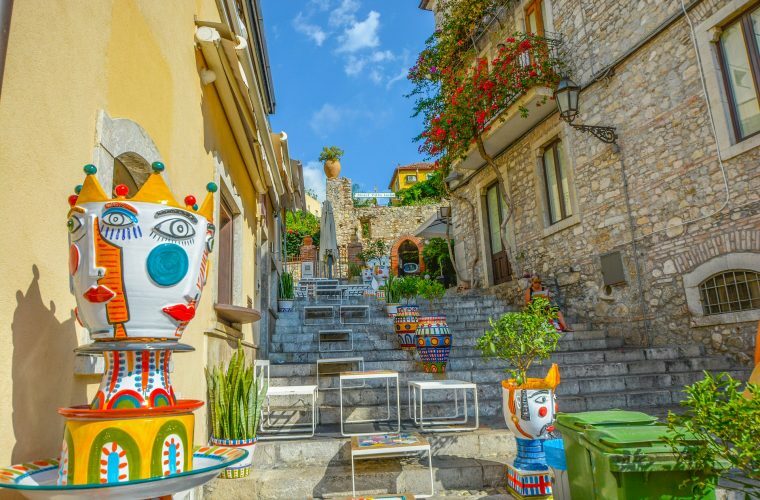 Fourth stop : In the afternoon you will arrive in Taormina where, by yourself, you can visit its elegant boulevard that separates the medieval gates of the city, Porta Catania and Porta Messina. You can admire, looking east, the breathtaking beauty of the Ionian coast and, on the other side, the majesty and grandeur of our Volcano. You will be provided with a map containing all the information on the most important places to visit. 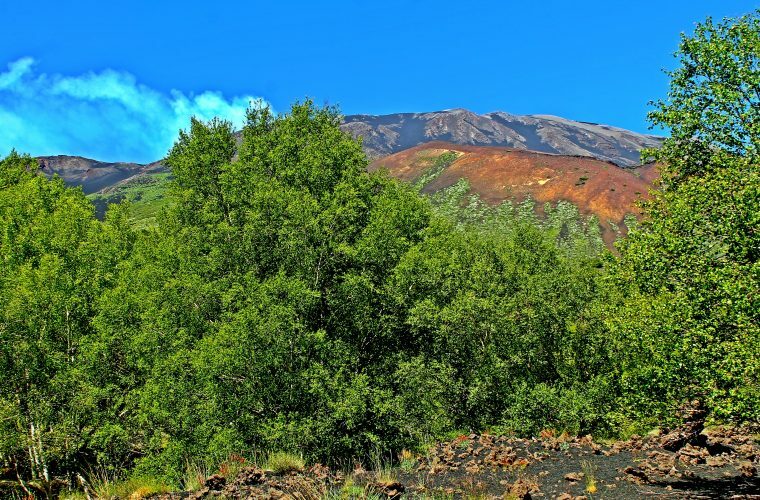 The guide will be waiting for you at the entrance of the town (since it is mostly pedestrian area) to come back to Catania, scheduled around 6.30 / 7.00 p.m.
During the excursion, you will reach an altitude of up to 2000 mt (area of ​​expertise of our naturalistic guides). Taormina is a famous tourist town, also an ideal destination for artists, writers and intellectuals (including Goethe and Truman Capote). Particularly loved not only for its amazing landscape and fantastic scenery, but also for its “sweet life”, permissiveness and transgression. Corso Umberto, the main boulevard, is full of many shops and boutiques. 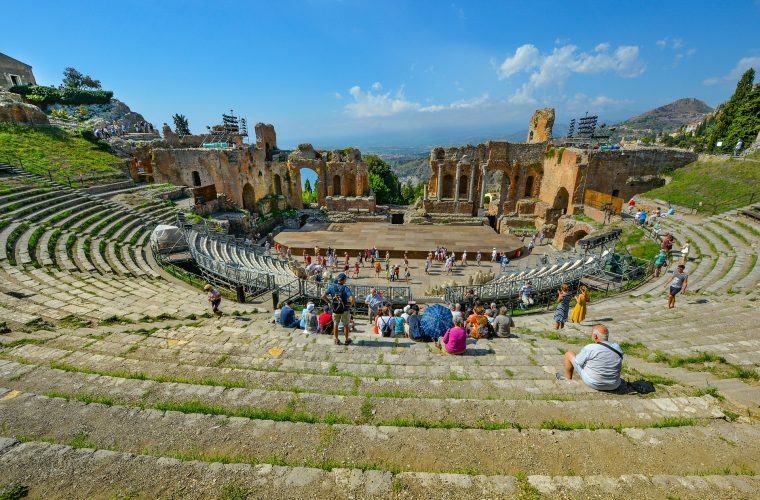 The ancient theater of Taormina is probably of Hellenistic origin and, after centuries of decadence, from the 1950s has been used as an open-air theater facility to host theater performances, concerts, David of Donatello awards ceremonies and symphonic concerts, from the Opera to the ballet. Since 1983, it has been hosting Taormina Arte, a show event that takes place every year during the summer, and the Taormina Film Fest. The theater was also set of some scenes of the movie “The Goddess of Love” by Woody Allen.